Manila Marriott Hotel is a 342-room luxury hotel located within the Resorts World Manila complex and right across the Ninoy Aquino International Airport, the international gateway to the Philippines with flights connecting the capital city Manila to other key cities and islands of the country. Manila Marriott Hotel is part of the global Marriott Hotels network with presence in about 500 locations around the world. The hotel promises a stay that is unforgettable and effortless. The experience begins at the front office where check-in is handled professionally and very efficiently. Registration signed, valid identification card scanned, and our key cards are issued in next to no time. 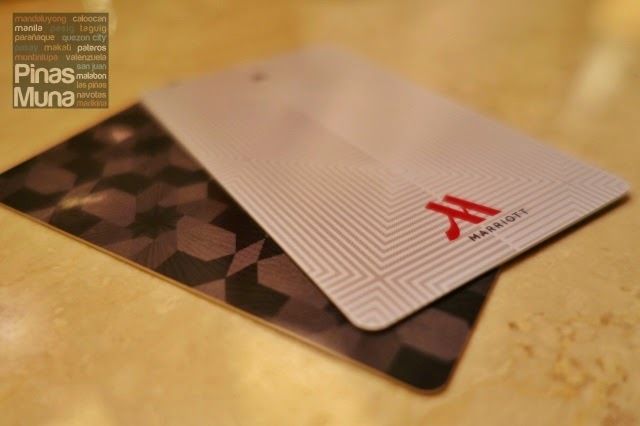 Just like in many high end hotels in Metro Manila, global brands like Marriott Hotels invest on technology to ensure the security and safety of its guests. Such is the case with their electronic key cards which restrict the use of elevators to the floors where the room of the checked-in guest is located. The same key card is also programmed to limit access only to the room registered under the name of the guest. 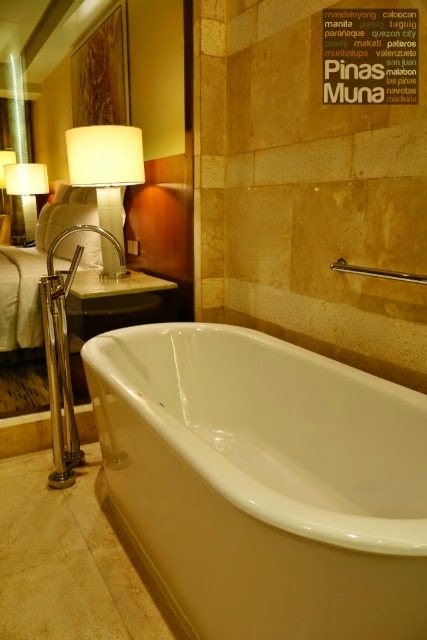 We stayed in an Executive Deluxe Room during our weekend staycation at Manila Marriott Hotel. With a floor area of only 36sqm, the spacious room fits a king sized bed, a couch with ottoman, a coffee table, two bed-side tables, a writing desk and an ensuite bathroom. The combination of dark wood, beige, yellow and warm tones of orange and red give the room a vibrant yet relaxing feel. We were told that our room was facing the golf course so we immediately checked the view from our window. Seeing so much trees in Metro Manila gives this weird, but beautiful feeling of being away from the city, yet so near when you see the skyscrapers at the background. Welcoming us to our room is this plateful of mango treats. 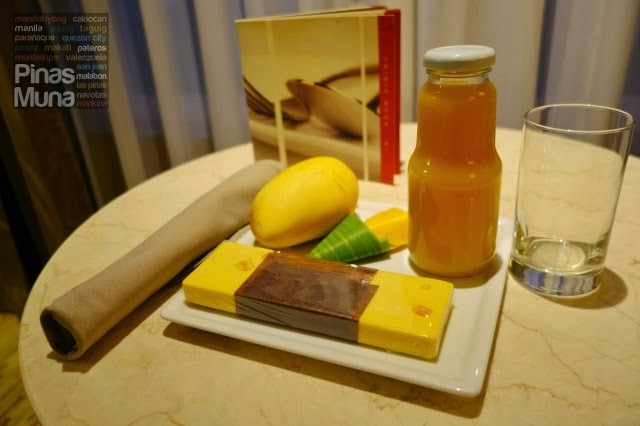 Sweet ripe mango, dried mango, mango juice, and the mango bar has got to be our favorite! Mango bar is made of white chocolate, mango-choco paste and bits of dried mango. We really loved it and thought that it's a great pasalubong item from the Philippines. 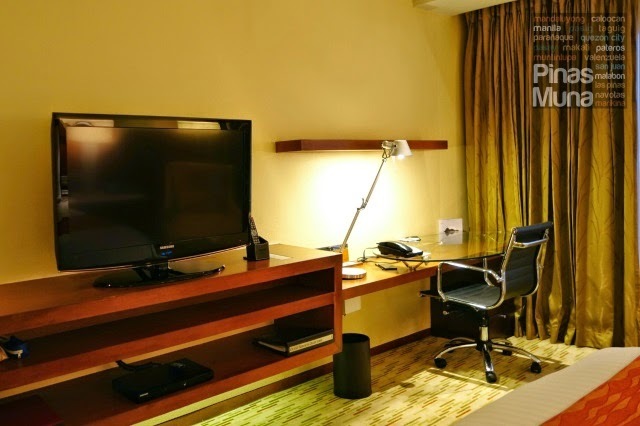 The room also offers modern conveniences such as free WiFi internet connection and a 40-inch cable-ready LCD TV with plug-and-play systems. The spacious and well-lit desk is a comfortable space for business travelers to work with their laptop. The bed was very comfortable to the back and the 300-thread count sheets they use are very soft. The pillows perfectly support the neck ensuring the best sleep. We also loved the fluffy soft duvet that kept us warm inside our well air-conditioned room. There's an iPod dock beside the bed where we played zen music which helped improve the quality of our sleep. Our ensuite bathroom is exquisitely tiled with marbles. It's very spacious and looks well maintained. The marble bathroom top has so much space to put on your personal toiletries. There's hot and cold water at the sink. Next to the sink is the toilet which is installed with a bidet. Adding more touches of luxury to the room are the natural hair and skincare products by Thann including Aromatherapy Shampoo, Aromatherapy Conditioner, Body Lotion, Aromatherapy Shower Gel, Rice Bran Oil Soap Bar and Aromatherapy Hand Wash. We loved the aromatic wood scent of the products with subtle hint of orange and tangerine. 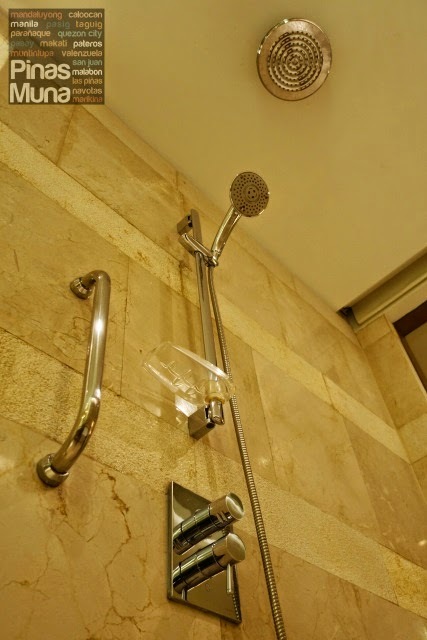 The walk-in shower features a rain shower attached to the ceiling. The excellent pressure of the water combined with the top-line Thann products make every shower a joyful and uplifting experience. Highlight of the bathroom is the free-standing deep soaking bathtub. There's no better way to end a tiring day than with an invigorating bath that will surely relax all the stresses from your back to your legs. If you are looking for a more relaxing experience, you can head to the Quan Spa, the hotel's full-service spa offering a wide variety of pampering massage and beauty treatment services. In-suite massage is also available. Guests staying in an Executive Deluxe Room enjoy access to the Executive Lounge which is open from 6:00am to 12:00mn daily. During your stay, you can technically enter the lounge at anytime of the day. The Executive Lounge offers luxurious spaces for meetings in a formal or casual setting. Complimentary food and drinks are also offered to the Executive Lounge guests. During our stay, we went to the lounge around 8:00pm when evening snacks are being served. There was a selection of salads, gourmet cheeses and cold cuts. There's also a section for sushis and makis. Another section has broschetas while next to it are small servings of cakes and pastries. The beverage section includes free flowing beer, wine and liquor. There's also fresh fruit juices, soda and other non-alcoholic beverages. Most foreigners seat next to this section for a very obvious reason. It actually doesn't matter where you seat since there's hotel staff who are always ready to assist you with what you need. Coffee and tea are also served at the Executive Lounge. There's a wide variety of tea flavors to choose from. 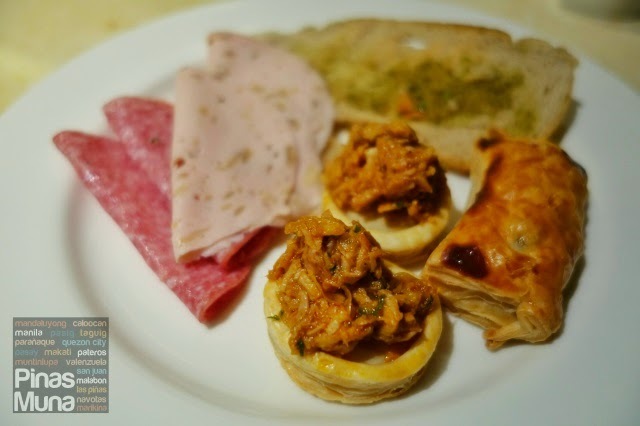 Here are some photos of what we had at the Executive Lounge. As you can see, there's really so much to choose from, and you could almost have your lunch or dinner here if you prefer a more private and less crowded place to dine. We had cold cuts, some bruschetas and pastries. We also made our own salad and feasted on cheese as well. And we ended the evening with some cakes and a cup of caffe latte and cappuccino. If you booked a Deluxe Room, you can upgrade to an Executive Deluxe Room. There's really no physical difference between a Deluxe Room and an Executive Deluxe Room. The only difference is the access to Executive Lounge. Checked-in guests also get to use the swimming pool for free. We woke up at 7:00am to have a quick dip in the pool. 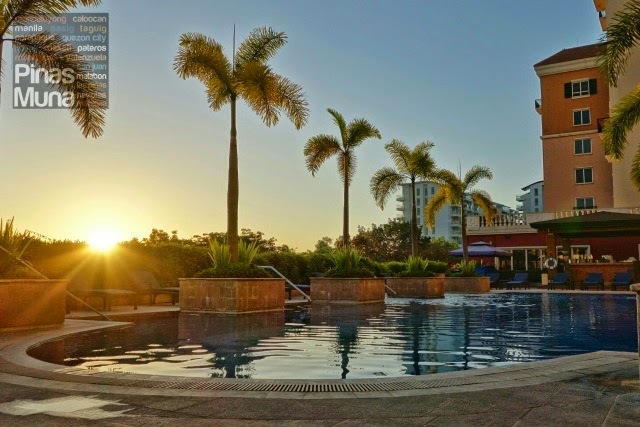 The pool is located on the east side of the building facing the sunrise, which made it more pleasurable to swim. There's also a jacuzzi at one of the corners of the pool. The swimming pool is usually not crowded during the morning when most of the guests are having their breakfast. In the evening, you might be sharing the pool with a handful of other guests. The pool is busiest between 9:00am and 5:00pm. 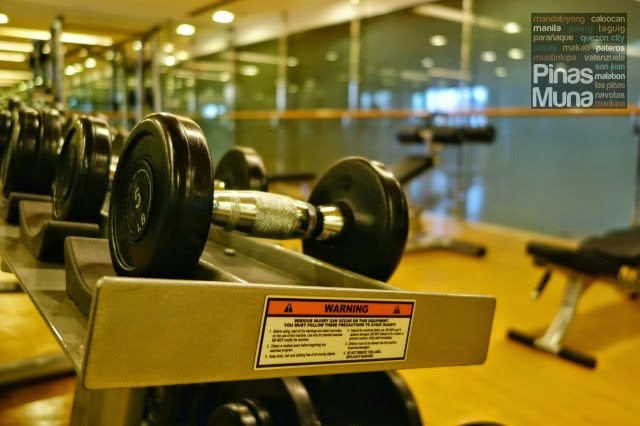 Manila Marriott Hotel also has a fully-equipped gym which checked-in guests can also use for free. 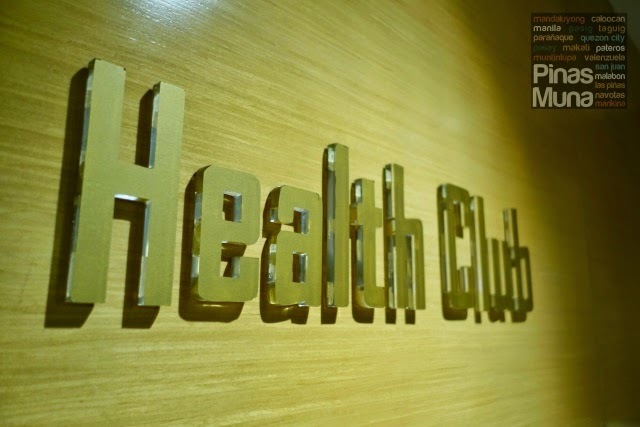 Annual membership at the Health Club costs P60,000.00 inclusive of 1 complimentary overnight stay at the hotel, two 1-hour complimentary massage gift certificates, unlimited use of gym facilities, locker and wet floor facilities, free use of the swimming pool, 20% discount on spa treatments, food and beverage, 5-10% discount on spa retail items, two complimentary gym locker passes, and free parking for the first three hours. Since we were staying in an Executive Deluxe Room, we have the option to either have continental breakfast at the Executive Lounge or Breakfast Buffet at Marriott Cafe. Marriott Cafe is the hotel's all-day dining restaurant serving buffet and a la carte dishes for breakfast, lunch and dinner. The restaurant features international dishes including Chinese, Japanese, Filipino, American and Mediterranean cuisines. Food choices include freshly baked pastries and breads with sweet jams, a variety of premium cheeses, cold cuts and hams. There's bacon, pancakes, waffles, tacos and an omelet station as well. There's a number of sushi and maki if you're looking for Japanese, and for Chinese, there's dimsum and hot noodle soup which you can customize to your taste. 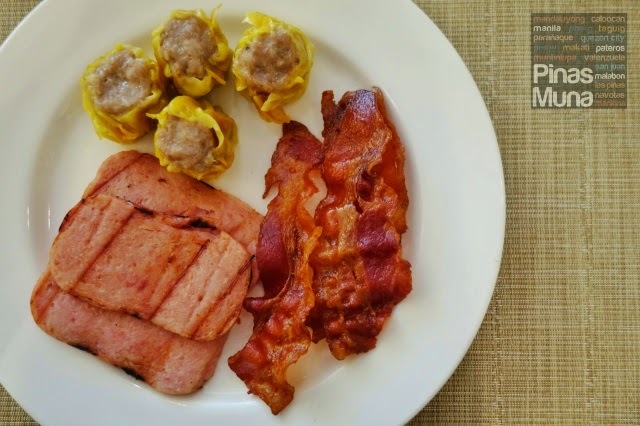 Classic Filipino breakfast dishes such as tapa, tocino, longanisa and adobo are also offered. 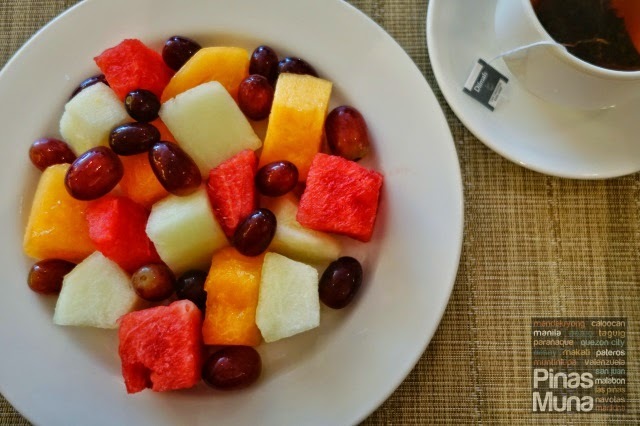 You can finish off your breakfast with a refreshing mix of fresh fruits and match it with fresh fruit juice, coffee of tea. Buffet Breakfast at Marriott Cafe is available everyday from 6:00am to 10:30am. Walk-in guests are also welcome to dine for breakfast at P1,450.00 nett per person. Overall, we had a pleasant stay at Manila Marriott Hotel. It was a badly needed staycation after a busy week at work and our hotel experience really made us feel well rested and energized. It's strategically located across the airport with the convenience of a mall and restaurants within the area. Space inside the room was efficiently utilized making it feel very spacious and uncluttered. The design gives the room a touch or elegance and warmth. Room was clean and well air-conditioned. State of the art technology kept us connected and entertained while inside the room. The rain shower was amazing! We loved the Thann amenities included. The toilet has a bidet installed. The bed was comfortable and the sheets smelled fresh and felt so soft to the skin. We had a very relaxing sleep feeling refreshed and recharged the following day. Customer service was quick and efficient. Check-in and check-out process was uncomplicated. The staff at the Executive Lounge were the best. They attended to the need of the guests and kept a sweet and hospitable smile all the time. Room rates are very competitive compared to the rates of other luxury hotels in Metro Manila. It's not as expensive as its counterparts in Makati, and staying here at Manila Marriott Hotel gives a feeling of being "away" from the city. Both sides of the bed should have power outlets. Security, housekeeping and FO employees are courteous and service is efficient, however their approach is rather stiff and impersonal. They should adapt the hospitable and personal approach of the F&B staff at the Executive Lounge and Marriott Cafe.